Somfy has produced more than 150 million motors since their inception. Today they manufacture a motor almost every second and serve 270 million users worldwide. Sunbrella is a leader in performance fabrics for awnings and shade applications, marine tops and covers, indoor and outdoor furniture, accessories and more. 3M brings you unlimited ways to transform your space with hundreds of graphic solutions that are colourful, consistent, flexible and durable – and guaranteed to stay that way. 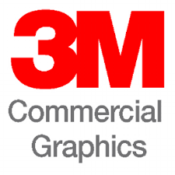 Get ready to inspire with 3M. Make a bigger impression. Enhance your image. Open up new possibilities. Take your message everywhere your business goes.